If you are interested in Thai literature, especially translations of it, then it's a necessity to know the name of Marcel Barang. 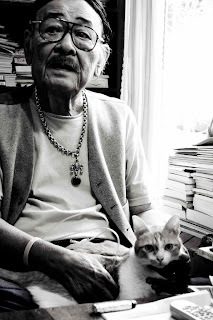 He is the world's foremost translator of Thai fiction into English and French. Not only is he prolific, but so few do what he does, making his work all the more valuable. Today I was delighted to learn that he now keeps a blog, alternately writing in French and English, called the written wor(l)d en deux langues. It's managed to escape my attention since he began it in July, but I'm glad it didn't take me until next year to find it. What is Marcel blogging about? 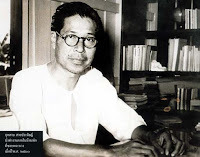 Most notably, he's completed working on a new English translation of สี่แผ่นดิน (See Phaendin) by คึกฤทธิ์ ปราโมช (Kukrit Pramoj), a former Prime Minister of Thailand. 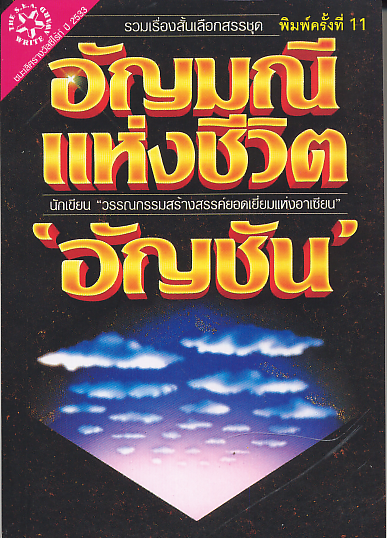 It was translated previously in 1981 under the title Four Reigns by "Tulachandra", the pen name of จันทร์แจ่ม บุนนาค (Janjaem Bunnag), who passed away in 2007, better known for her translations of Western literature into Thai. [Tulachandra] did a creditable job of condensing the masterpiece, but spoiled it by taking upon herself the role of cultural tour guide, pepper­ing her text with mentions such as “At that time, we Thais thought that...” that are not in the original and leaving behind more than one hundred Thai words and phrases for foreign readers to memorize, I presume – from countless repetitions of the basic mai pen rai (‘never mind’) and sanuk (‘funny’) to convoluted formulas in court language. At Marcel's primary website, thaifiction.com, you can read a lengthy excerpt from See Phaendin that he did for the same anthology, as well as many other of his translated books and stories in their entirety. "Judging from the sample you sent us, we think your translation is much inferior to the standard of the novel, which will destroy the quality of language and depth of Thai culture of a time when the diversity of Western cultures was not as numerous as it is today. Therefore, MR Kukrit Pramoj, the author, does not allow you to translate and publish See Phaendin." This time around, let's hope he has the family on his side. 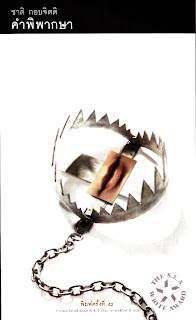 "Lost in translation" -- in which Marcel reveals that his translation of Chart Korbjitti's หมาเน่าลอยน้ำ will soon be published, and that he has also translated a compilation of Chart's best short stories. Or "The novel that doesn't exist", recounting the accidental rediscovery of a novel that neither Google nor the National Library could find. 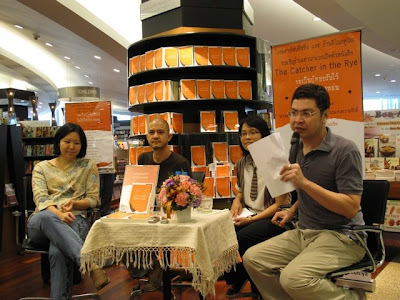 A four part series "On literary translation from the Thai" (one, two, three, four). And last but not least, we can expect a new-and-improved version of thaifiction.com within the month. Catherine over at Women Learning Thai has written a post about the FSI Thai Wiki Project, a collaborative project that we helped start, with the goal of digitizing the entire U.S. Foreign Service Institute's Thai language course, and adding Thai script in the process. The original course uses only romanized Thai, something we think needs fixing. We're working on this via wiki, which means that we want and need your help. If you'd like to help type out some of the Thai, proofread some of the English, or format some wiki pages, then please send me an email at rdockum [at] gmail [dot] com. Please see Catherine's post for more information, or the Google Group that I started for this (and future) collaborative Thai language projects. The website Lexiophiles is sponsoring a vote for the top language blogs. I've been nominated (along with 99 others.. w00t) in the "language learning" category. The power is now in your hands to determine the order of the top 100. My goal is to crack the top 90. Won't you please help? So this is strange... the new website ilovethailand.org aims to ease the country's massive political, socioeconomic, and cultural divisions by bolstering national unity. [This site is] for all Thai people. Comments must show your love and respect for Thailand. Expression of opinions must not violate or slander others. Express opinions with polite language. Comments must not disparage the nation, religion, or king. You must love Thailand more than life. Whoever expresses an opinion in violation of these terms and conditions must accept the consequences of that opinion. Looks like this site is a national "stimulus" program of a non-economic variety. A government-sponsored website on which only those who admit that they love the country more than their own lives are allowed to come and express nothing but adulation and praise for the country. I'm sure this will do wonders for encouraging open and thoughtful dialogue. Especially that veiled threat at the end. Just lovely. As I wrote in the previous installment, "Thai titles for western films are sometimes corny, sometimes spoilery, and always entertaining. Especially when you translate them back into English. They have a style of their own." "Iron Man 4: super machine war cleanses the earth"
"Star Trek: war to destroy the universe"
"Fighting a worldwide organization from hell"
"Gigantic museum: double fun penetrates the world"
"Transformers: super mega war of revenge"
Prime Minister Abhisit Vejjajiva Monday urged the Royal Institute to face changes caused to the Thai language by usage of the language on Internet and accept the changes. Abhisit said the Royal Institute must regulate and create standard for the changes in the language while campaigning for the correct usage of the language. 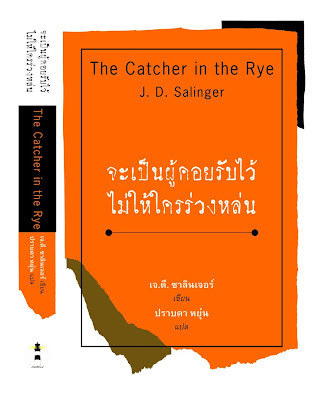 The prime minister said his government would also make it a national agenda to campaign for Thai youths to love reading. I have no idea what prompted this urging. And I can't seem to find any mention of this in the Thai press. The Royal Institute is in charge of creating and promoting language standards, which in most cases includes trying to hold back the tide of change in the modern language. There is a general attitude of disapproval among the older generation about how young folks speak (and especially write) Thai these days. There's nothing uniquely Thai about this, of course. The same discussions are going on in the U.S. about "proper (American) English" those darn whippersnappers and their text messages and cellular telephones and all the LOL on the series of tubes that make up the interwebs. Heh. The difference, of course, is that there is no organization in Englishdom that has a mandate to "protect" the language. In Thailand, that's where the Royal Institute comes in (and many other countries have similar organizations to set standards for their own national languages). But since virtually all Royal Institute Fellows (ราชบัณฑิต) are retirement age, and some are nearing the century mark, they basically embody the (multi-)generation gap. In addition to the many books it publishes, the public relations outreach of the Royal Institute involves annual awards for excellence in the use of the Thai language, regular radio spots with language tidbits, and most recently, a short cartoon segment teaching proper language that is to air each evening. They have also begun the process of producing a language quiz show program for NBT. In other words, it's all very 20th century. So basically what Abhisit is asking, I think, is for them to stop ignoring the fact that the internet is perhaps the single greatest cause of language change. But it's also interesting that he is reported to have urged them to "accept the changes". Somehow I don't really see that happening. However, I agree that somebody should at least be paying attention to new language trends instead of dismissing them as "incorrect" internet Thai. One of the reasons given for the Royal Institute's Dictionary of New Words project (volume 1 was released October 2007, and volume 2 is in the pipeline) was to record the modern language (without legitimizing it, however), so that at least those who look back on the language of this day will be able to make sense of it. That seems like a decent reason, but of course the approach is extremely narrow. A group of perhaps a dozen committee members sit around a table and try to come up with "new" words they've heard. Just as with their main dictionary, there is no systematic attempt to comb things like the internet or comic books to assure adequate coverage of the words in use in the real world. Not to mention variant spellings, and new senses constantly being given to existing words. Keeping up with the language is a daunting task. For an organization with as much expertise as it has, the Royal Institute remains largely irrelevant in the modern Thai world. 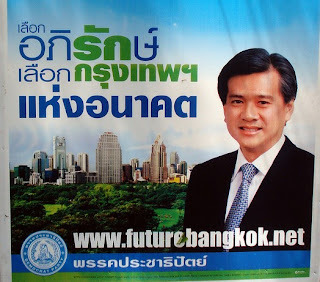 Perhaps Abhisit realizes that, and that prompted his statement. But it stands to be seen whether the Royal Institute itself will realize it. If not, they'll continue trying to instruct people who simply aren't listening. Greetings, readers! (Both of you.) My triumphant return has finally arrived. Okay, maybe not triumphant, but I'm going to stop being so lazy about writing posts. Please check back soon (i.e. later today) for my first real post in a month. For those who expressed interest in the Thai-language version Siburapha's story "Those Kind of People" (which I blogged about last week), I have now posted the original story: คนพวกนั้น. I digitized the text by scanning it and running the scans through ABBYY FineReader 9.0 OCR software. They added Thai support last year and it's by far the best of the meager Thai OCR options. No offense to NECTEC, but their ArnThai is truly terrible in comparison. But it's still not perfect, so I read through it quickly to fix obvious errors. If you spot any more drop me a line and I'll fix them. It's been a year since my first DVD roundup, when I summarized the classic Thai films on offer from Triple X. I planned to follow up with the Happy Time catalog. While I still have my half-finished notes for that, it'll have to wait its turn. Today I'm gonna take on a bite-sized DVD roundup: GMM's new Memory Collection. It's only in the last few weeks that I've begun to notice these films on the shelf. And so far there are only three titles in the series. But doing a little research, I find that the first in the Memory Collection series was released in January 2009, followed by released in February and March. The suggested retail prices for titles in the Memory Collection is 199 baht. Today I saw 189, and online sites Boomerang and Amorn Movie are offering them for 159 and 150 baht, respectively. 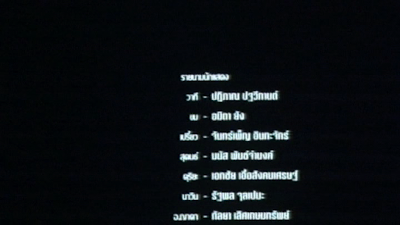 The bad news: no subtitles of any kind, Thai or English. The word on the street is that the picture quality is poor, so today I went out and bought Red Bike Story, which I'm not sure has ever been released on DVD before. On my computer screen the image looks pixelated, which is unfortunate. On a TV (or analog monitor) that computes to a fuzzy picture. But the colors are decent, in comparison to the downright awful quality of most older Thai movies (due to poor preservation and transfers). I'd call the quality very watchable, but certainly not what you'd typically expect from a DVD. If you have any doubt that the image is not crisp, just skip to the end credits, which are washed out and difficult to read. Here are a couple of screen shots. Click for the full native resolution. My feelings on this series overall is that it's typical Thai cheap-as-possible production, where they don't appear to either realize or consider that many people do care about things like image and sound quality (just read the comments on that thread I linked to). So it smarts a little when they do cheap transfers and charge 199 baht for it. But at the same time, I've never had the chance to see Red Bike Story before, so I do hope they continue to release interesting older films. The typical shelf life for DVDs here is so short, it's refreshing to see titles like these back on the shelves. No, the province isn't in trouble. I'm talking about the Thai phrase meaning "one hundred and one". I've noticed that, in Bangkok at least, I never really hear the number 101 written or spoken as ร้อยเอ็ด or หนึ่งร้อยเอ็ด. Rather, หนึ่งร้อยหนึ่ง seems to be the norm these days. The same goes for 201, 501, 1001, etc. I only hear เอ็ด in the tens places -- from 11 to 91. The most common situation to hear these in is when someone reads you the total from a purchase, whether it's a 7-Eleven stop or a restaurant bill. Using เอ็ด for "one" in the ones place of multi-digit numbers is still technically correct, according to the Royal Institute. And it usually helps to avoid confusion. For example, saying 1001 as หนึ่งพันหนึ่ง could be misunderstood as 1100, or หนึ่งพันหนึ่งร้อย, since the decimal unit of the next figure is often omitted in casual speech. พันห้า = 1500, หมื่นสอง = 12000, ล้านสี่ = 1.4 million. The only exception here seems to be the tens place, where สิบ is rarely ever omitted. 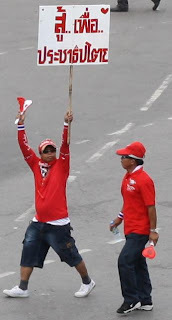 สองร้อยห้า = 205, not 250, though one may run into occasional exceptions to this exception. So why would เอ็ด would begin to disappear from usages like 101, 201, or 1001? And if it really is disappearing, then I wonder whether this bug report for Open Office is really a bug or a feature. Is it simply reflecting common modern usage? Can anyone else corroborate my experience? What is usage like outside Bangkok?